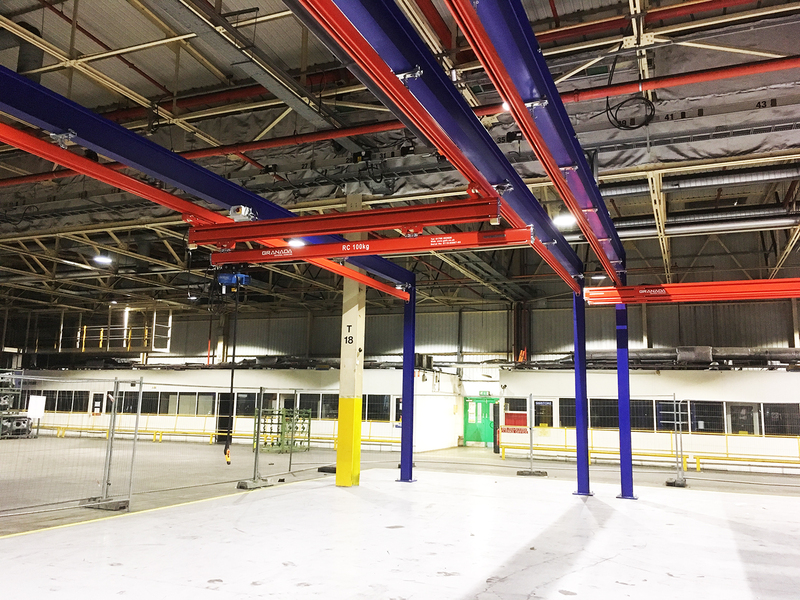 The first three months of 2019 have shown continued expansion for Granada, from design and specification through to installation, maintenance and servicing. 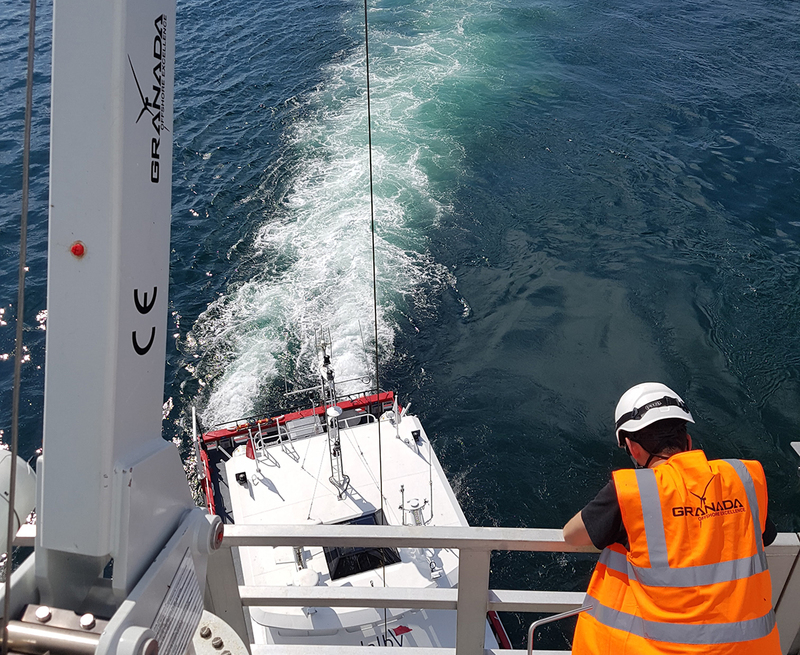 Engie Fabricom has awarded a significant contract to Granada Material Handling to design, manufacture, and commission five davit crane units for use on the Moray East and the Triton Knoll Offshore Wind Farm substations. Each of the Granada Python crane units has been specifically designed for each offshore wind farm and the challenging marine environment in which it will operate. One ‘Python’ crane unit will be fitted to each of the five Jacket Foundation platforms. 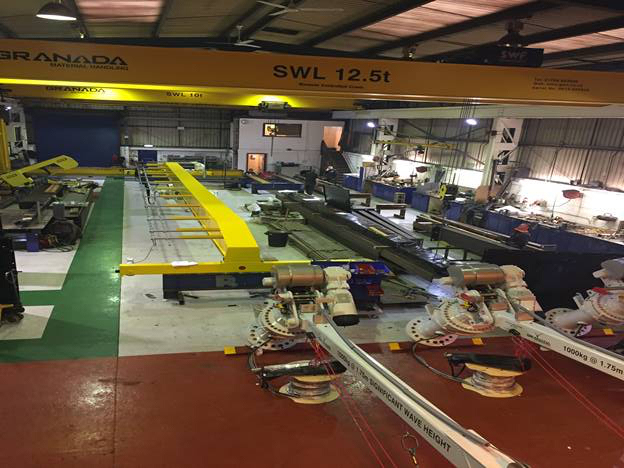 Granada further extend their offshore portfolio with a major contract win from Smulders, to design, manufacture, deliver and commission 90 of their unique Python cranes, one to be fitted to each of the transition piece platforms for Triton Knoll. Situated 27km off the Suffolk coast, the Galloper Offshore Windfarm Limited (GOWL) already has one of Granada’s unique Python cranes fitted to each of the 56 wind turbine foundations, with another two on the OTM platforms. Building on the success of their 2016 contract to design, deliver and commission davit cranes for the GOWL project, Granada have now been awarded a contract to ensure all 58 cranes are serviced and maintained in accordance with current legislation and with Granada’s own original equipment supplier requirements. 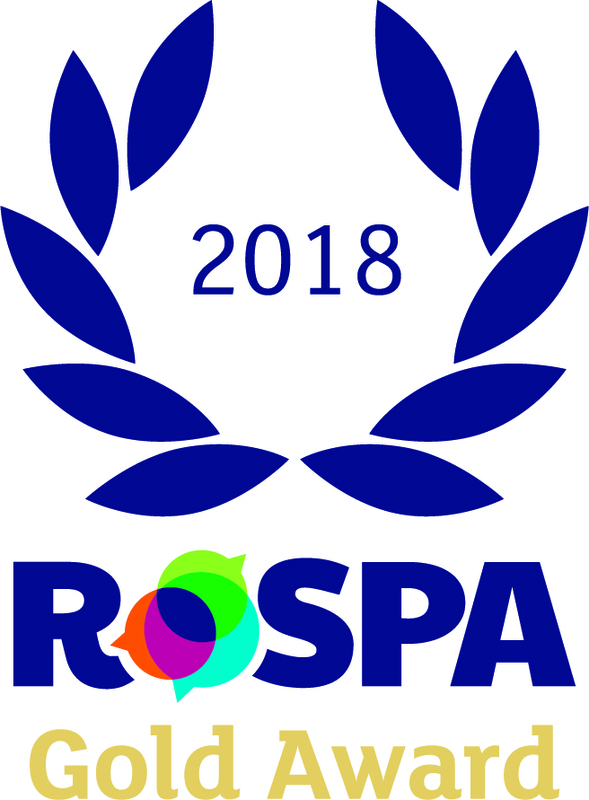 The internationally-renowned RoSPA Health and Safety Awards scheme, which receive entries from organisations around the world, is the longest-running industry awards scheme in the UK, and Granada Material Handling have been given their third prestigious Gold Award, in recognition of the company’s practices and achievements in occupational health and safety management, leadership and workforce involvement. Written on March 6, 2018 . Having recently delivered their 1000th wind farm davit crane, Granada Material Handling are employed across multiple foundation yard locations ensuring their range of cranes are commissioned and tested prior to installation offshore. From Denmark to Dubai, Granada’s trained and certified crane technicians are currently supporting the following wind farms with commissioning works: EA1, Hornsea, Galloper and Beatrice. Written on March 2, 2018 . A landmark for GMH, this reflects the company’s reputation across the offshore renewables sector, with GMH cranes already working on or specified for projects including: Nissum Bredning, Denmark; ongoing work with Orsted Energy for the Hornsea project; East Anglia ONE Windfarm for Scottish Power Renewables, as well as contracts with Babcock Intl. for the Beatrice Offshore Windfarm (BOWL) project. 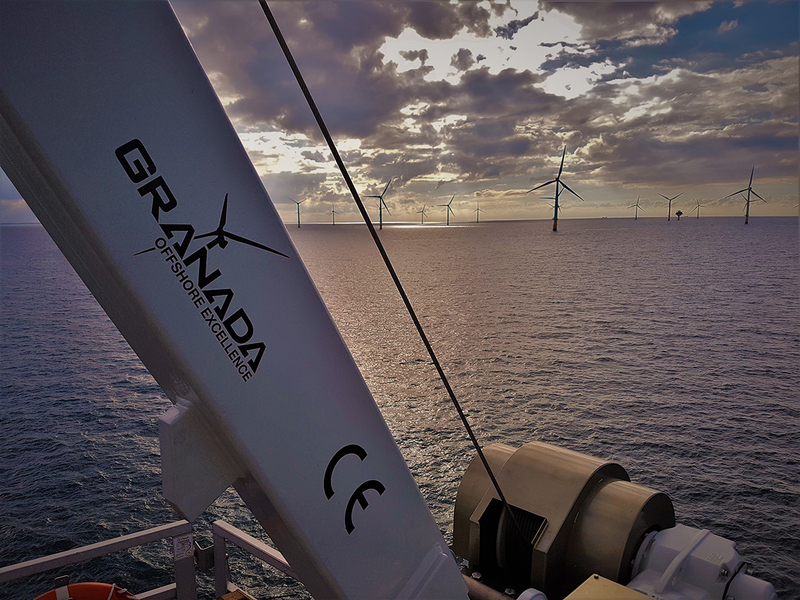 Granada are currently working with several windfarm developers on new projects and will announce further projects shortly. Written on January 3, 2018 . Granada’s expertise in the automotive sector was on show in a recent Channel 4 documentary, ‘Inside Bentley – a Great British Motor Car’, which showed GMH cranes at work, helping to build the new Bentley Bentayga – the most challenging car Bentley have ever made.